The other day, I wanted to make salsa but I found myself tomato-less. 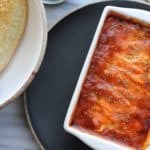 Salsa without tomatoes? Was it possible? Spoiler alert: Yes it’s possible. 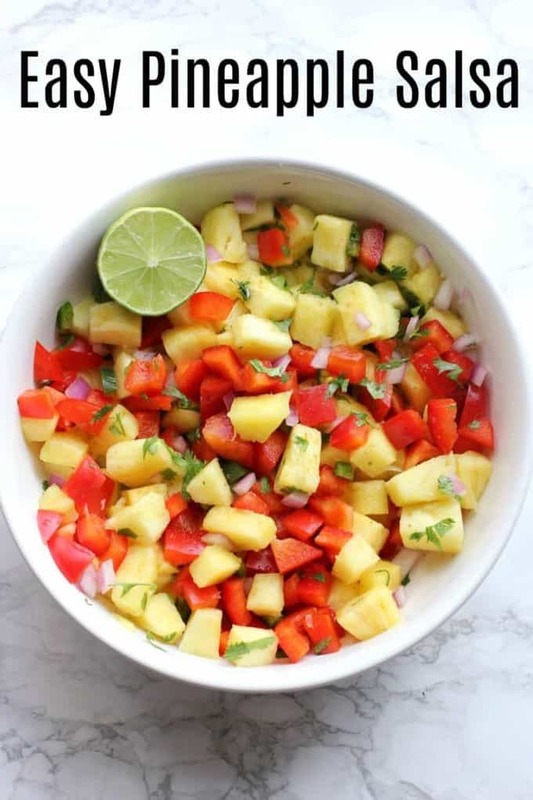 This sweet and spicy pineapple salsa is delicious with your favorite tortilla chips but it’s even great on top of a black bean burger. I’ve also eaten it with a fork, but that’s nothing new. 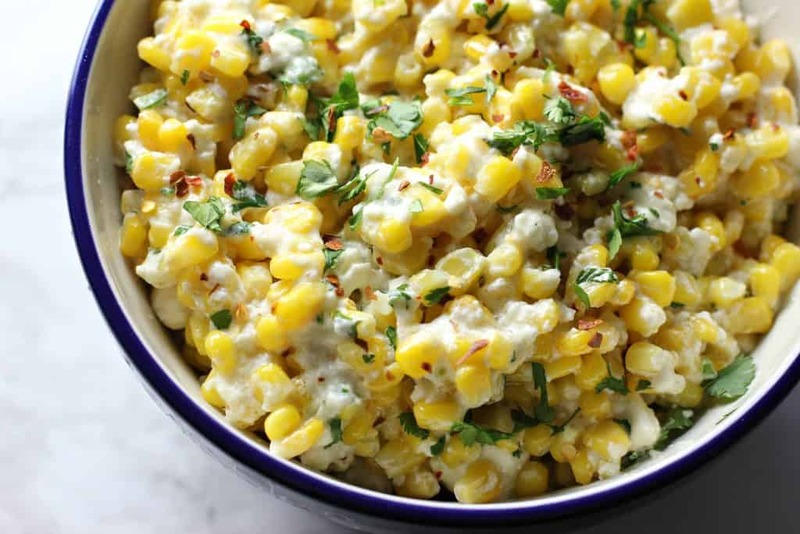 I made this over Memorial Day weekend and it was a perfect cookout side dish because it was easy to make ahead of time. You can even make it a day in advance and it’ll only get better. Just keep it in the fridge in an airtight container until you’re ready to serve it. If you like things extra spicy, you can add more jalapeno. I wanted to keep things fairly mild because not everyone in my family enjoys things super spicy. But feel free to customize it however you like! 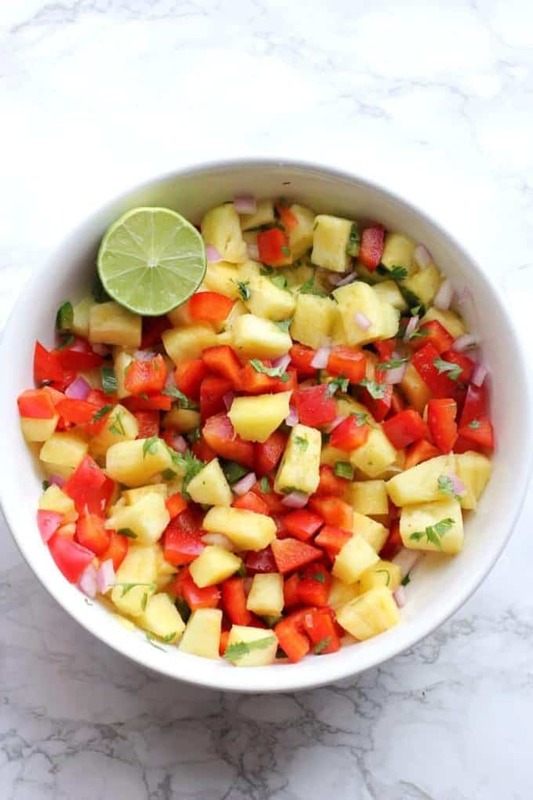 This easy pineapple salsa is a perfect dip with tortilla chips but it’s also tasty on top of a black bean burger or tacos! 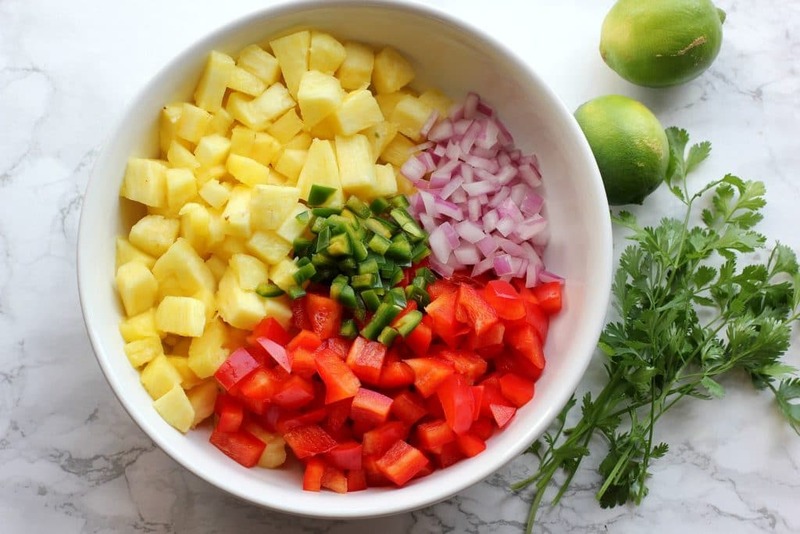 Combine the pineapple, pepper, onion, and jalapeno in a large bowl. Juice the lime over the fruits and vegetables. Sprinkle with cumin and stir. Add a pinch of salt, or to taste. Once you’re done chopping your ingredients, this comes together quickly! Technically you could make this with cans of diced pineapple and save a few minutes of chopping, but I recommend fresh if possible. 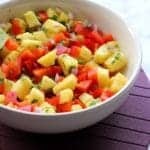 This pineapple salsa is perfect when you’re looking for a salsa without tomatoes, or you’re craving something on the sweet side. I mentioned it would be good on a black bean burger but it would also be delicious on tacos and salads! Got a little extra pineapple? 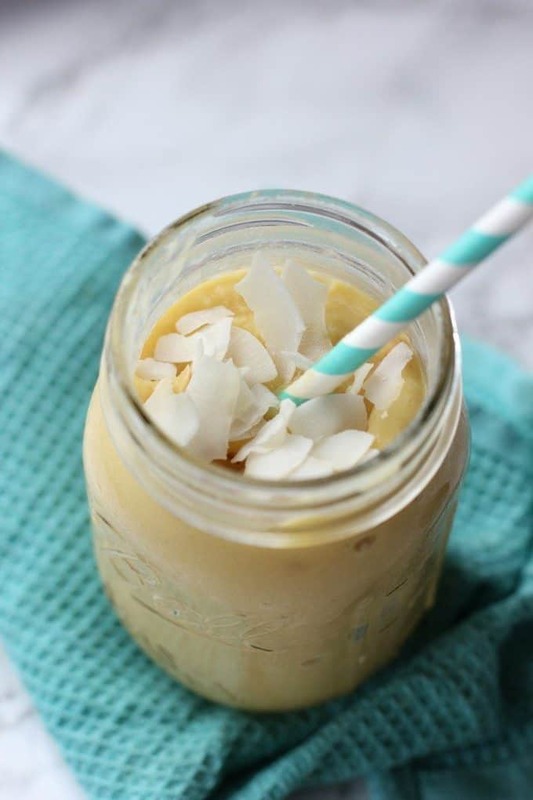 Pop it in the freezer and make this coconut mango smoothie for breakfast! 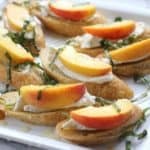 Love how delicious and simple this recipe is! Oh my yum! That sounds soooo good! Loving all the fresh ingredients and beautiful colors! Such a great looking salsa! 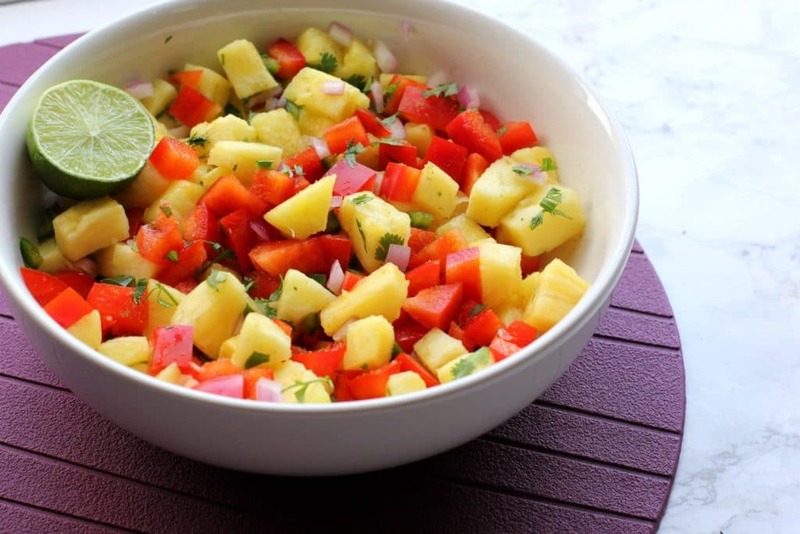 This pineapple salsa is perfect for the summer! I definitely have to try this! I’m actually a big fan of salsa and guacamole recipes sans tomatoes. I’m not a huge fan of them. Just don’t tell my Italian family 🤐 this looks wonderful! I love how fresh and easy this salsa is! 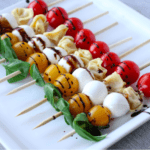 It would be so perfect when you need to bring a side dish and have no time! 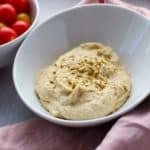 My favorite dip would definitely be a creamy fruit dip. I had never even it until our wedding day when our caterer served it. After that I was hooked.